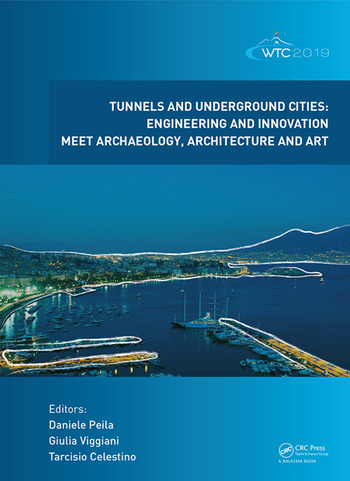 Tunnels and Underground Cities: Engineering and Innovation meet Archaeology, Architecture and Art contains the contributions presented at the World Tunnel Congress 2019 (Naples, Italy, 3-9 May 2019). The use of underground space is continuing to grow, due to global urbanization, public demand for efficient transportation, and energy saving, production and distribution. The growing need for space at ground level, along with its continuous value increase and the challenges of energy saving and achieving sustainable development objectives, demand greater and better use of the underground space to ensure that it supports sustainable, resilient and more liveable cities. This vision was the source of inspiration for the design of the logos of both the International (ITA) and Italian (SIG) Tunnelling Association. By placing key infrastructures underground – the black circle in the logos – it will be possible to preserve and enhance the quality of the space at ground level – the green line. In order to consider and value underground space usage together with human and social needs, engineers, architects, and artists will have to learn to collaborate and develop an interdisciplinary design approach that addresses functionality, safety, aesthetics and quality of life, and adaptability to future and varied functions. The 700 contributions cover a wide range of topics, from more traditional subjects connected to technical challenges of design and construction of underground works, with emphasis on innovation in tunneling engineering, to less conventional and archetypically Italian themes such as archaeology, architecture, and art. The book has the following main themes: Archaeology, Architecture and Art in underground construction; Environment sustainability in underground construction; Geological and geotechnical knowledge and requirements for project implementation; Ground improvement in underground constructions; Innovation in underground engineering, materials and equipment; Long and deep tunnels; Public communication and awareness; Risk management, contracts and financial aspects; Safety in underground construction; Strategic use of underground space for resilient cities; Urban tunnels. 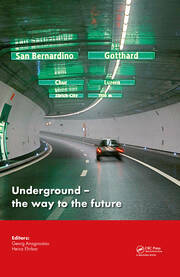 Tunnels and Underground Cities: Engineering and Innovation meet Archaeology, Architecture and Art is a valuable reference text for tunneling specialists, owners, engineers, architects and others involved in underground planning, design and building around the world, and for academics who are interested in underground constructions and geotechnics. How to refurbish a tunnel: Shop open or closed? Did the selection of TBMs for the excavation of the Follo Line project tunnels satisfy the expectations? SCL vs squareworks – timberless tunnelling in future LU Station upgrade projects? Daniele Peila is Associate Professor at the Department of Environment, Land and Infrastructure Engineering at the Politecnico di Torino, Italy. Giulia Viggiani is Professor at the Department of Engineering at Cambridge University in the UK. Tarcisio Celestino is Professor in the Department of Geotechnics at the University of Sao Paulo, Brazil.